Ray and I were showing beautiful water front homes on the Island the other day. One of the homes featured a WALL of bottles that the owner had collected from around the world. Impressive collection of 100’s of bottles displayed on the floor to ceiling shelves. We all enjoyed the distraction of the bottles. Yes, distraction; a distraction from the buyer’s ability to visualize themselves at home. Again, recently while showing homes in a golf club community we entered a home where every room in the house was painted deep rich colors including all the ceilings. This was 3100 square feet of VERY personal color choices everywhere. The buyers could only see the dollars and labor involved with repainting every nook and cranny of this house. Personal taste, style, and expression are wonderful. When we get together with friends and family for parties I love seeing the personality of my friends in their decorating and how they make the house their HOME. There is a huge difference between hosting a party in your HOME and preparing your HOUSE to sell. When selling, you are selling a house- not your home. 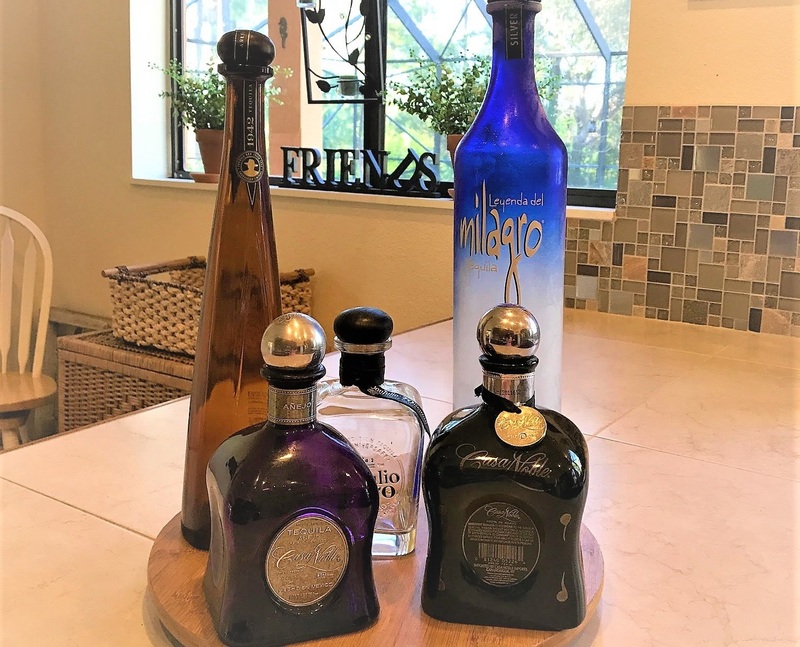 Those purple walls and tequila bottles as art should to be toned down. Notice in home there is “ME” and in house- is “US”. The desire is for the house to appeal to all of US. The more neutral and clean a house is the better it shows to potential buyers. Ray and I had a seller who loved yellow. Her bedroom was painted yellow, decorated frilly and precious. So, as they prepared for the house to be listed for sale, she went on HGTV’s website and looked at the paint colors the designers were using most often. They hired a painter to paint the owner’s suite a shade of soft smoky blue. PERFECT! (Let me tell ya’ we were happy Realtors.) Everyone commented on how peaceful and “how straight out of a magazine” the home appeared. The goal is for people to see the house as their HOME. SCORE! SOLD! That's what staging does. Just Keepin’ the REAL in Real Estate.